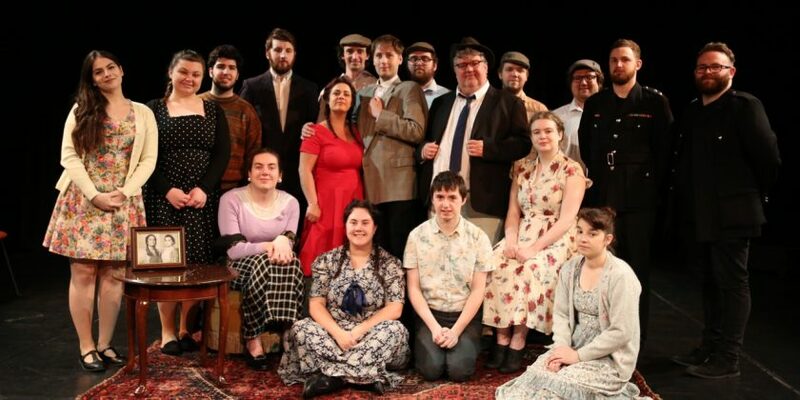 An original performance inspired by a celebrated novel for young adults will take place at Wrexham Glyndŵr University this week. Final year students on the Theatre, Television and Performance (BA Hons) degree programme will perform ‘Starring Sally J Freedman as Herself’ as part of the Focus Wales Festival on Friday 11th May and Saturday 12th May. The one act performance is inspired by and devised from the novel ‘Starring Sally J Freedman as Herself’ by Judy Blume, and incorporates physical theatre, comedy, and storytelling. Set in 1947, shortly after the Second World War, the performance focuses on Sally, a 10 year old American Jewish girl, who tries to understand the world around her through asking endless questions. These include – ‘Why do people from a different race have to sit in separate carriages on the train?’ ‘Where do babies come from?’ and ‘Where is Adolf Hitler?’ Sally interprets the answers -and the hushed conversations of adults – into stories and imaginings, whilst enduring separation from her beloved father. The production is a level 6 final year showcase piece and forms part of the FOCUS Wales festival. It takes place in the Catrin Finch centre on Friday May 11th at 7pm, and on Saturday 12th at 4pm. Tickets can be purchased here. Please note that if you are attending FOCUS Wales the production tickets are included in your FOCUS Wales ticket price and should be reserved through the FOCUS Wales booking system here.